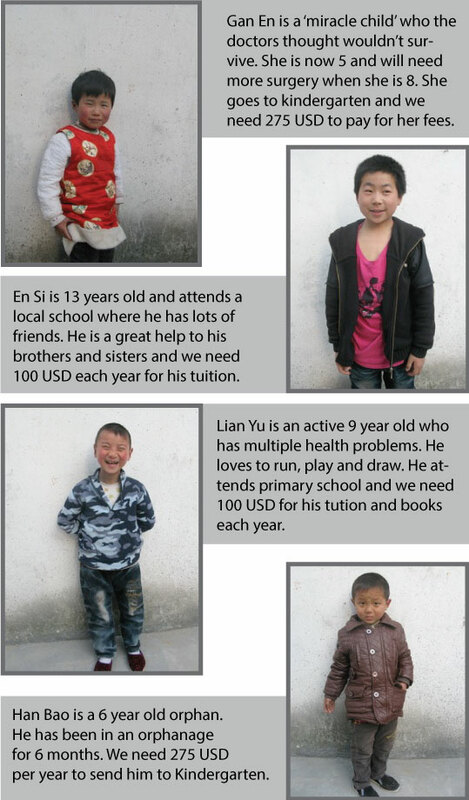 Mifan Mama supports many orphans around China with cash to help them achieve their educational goals. This is a powerful means of improving their life chances and breaking the cycle of poverty which often goes with life without parents. 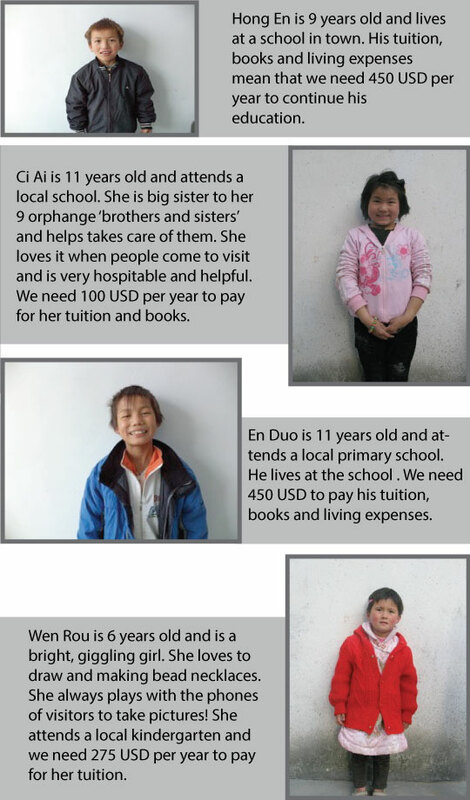 Below are pictures of a number of children that need your help today. You can donate towards their care by clicking on the PayPal button below. Your donation will make a difference to the lives of these children.